Want to run and jog at the comforts of your own home? A running machine serves as the ideal solution. Instead of signing yourself up in the gym, why not spend the same money for convenience? The best treadmill under 1000 USD is the perfect workout system for you. There might be some models that cost less, but stretching your budget up to a thousand bucks gives you more features and advantages. Without further ado, here are the top 10 best treadmills under 1000 in the market today. With its 10 percent incline, you can give your legs some extra burn. Now your treadmill workout will never be the same with the ProForm 505 CST Treadmill. This one comes with features that can easily complete your checklist – high weight capacity (325lbs), space saver design, LCD screen, heart rate monitor and more. It even has an iPod-compatible audio system for added entertainment. Now you won’t get bored while toning your body. If you’re up to the challenge, this treadmill can give you a tough workout with its 2.5 continuous horsepower motor. The large LCD motor will keep you on-track of your progress. Further, it has a 10mph maximum speed that will keep you motivated in achieving your potential. The game-changer in treadmills is the incline training. Now you can literally prepare yourself for uphill routes or mountain trekking. The ProForm 505 comes with automatic incline adjustability. Incline training is the new era for treadmills and it’s wise to invest in something that can give you that kind of advantage. 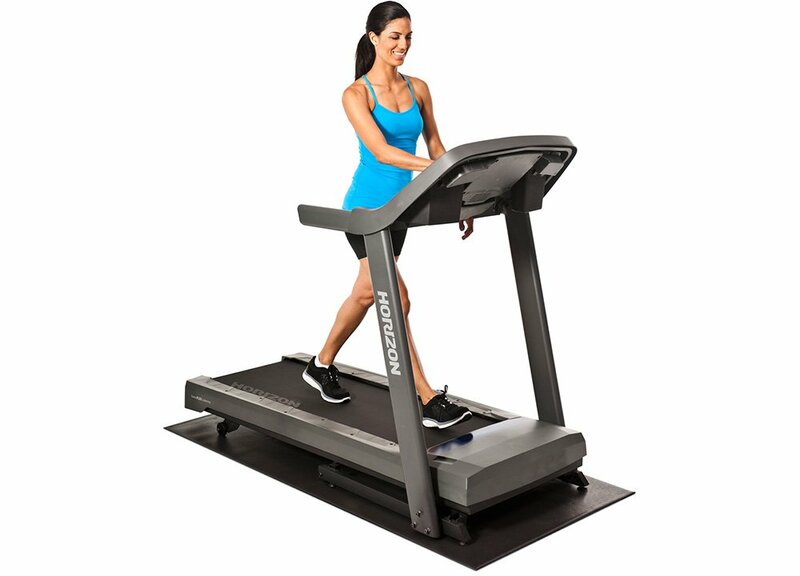 This NordicTrack also competes well in the modern treadmill industry. It comes with up to 10 percent incline to add serious intensity to your workout, and to hone particular muscle groups. It beats the previous treadmill by having 20 system-embedded workouts designed by a certified personal trainer himself. You can also bring your favorite playlist with you; just connect any MP3 device or your iPod console into the sound system. 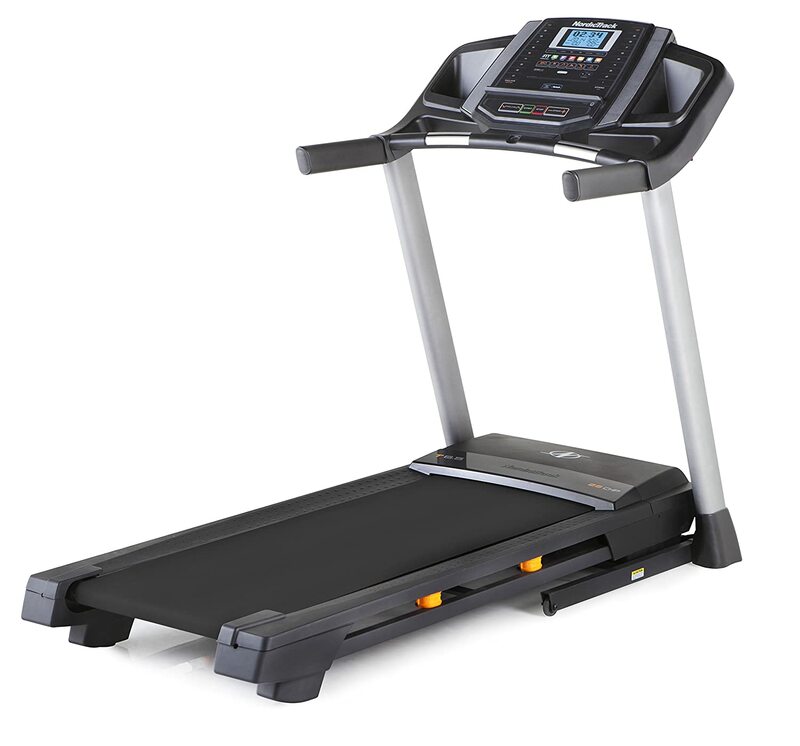 This one comes with a 20” by 55” tread belt (same with the previous model) – enough to keep you motivated without feeling confined as you jog or walk in place. You’ll also get impressed by how the brand installed CardioGrip heart-rate sensors into each handle to give the most accurate reading and send it to the console for you to see. Further, you virtually don’t have to be disturbed with OneTouch controls. No scrolling through settings – everything is available with a touch of a button. Want a big screen to track your progress? The NordicTrack C 990 comes with a 7-inch web-enabled screen. You’ve read it right, you can now connect to the internet right on your treadmill. Want something bigger? This treadmill comes with a tablet holder for you to mount your iPad. You can have your entertainment right in front of you. The thing that makes this NordicTrack impressive is the 3.0 continuous horsepower motor. This bigger motor makes a more reliable, consistent companion for building your endurance as you work out. You can also expect smooth operation without interruption even at maximum usage. The best part? It has a long-running belt, stretching to 60 inches! Other treadmills can only go around 50 inches. You’ll also never run out of workout routines to explore. With 32 preloaded workouts designed by certified personal trainers, you can be confident to see your progress in no time. And if 10mph seems not enough, this model can cater speed workouts of up to 12mph! Set and track your exercise goals while constantly monitoring your progress in the Nautilus T614 DualTrack LCD multi-display console. With the Nautilus T614, you’ll get both performance and quality. This one comes with a reliable, highly responsive 2.75CHP motor that is up to the task. Whether you like a manual, weight control, train, or quick goals, the 25 preloaded programs are enough to keep you busy exercising for your desired output. What’s more appealing is the Goal Track capability that will enable you to make individual exercise goals – crafted by you, for you. Comes with a 20” by 55” belt, you have a running path enough not to feel like you’re confined in a limited space. Further, you get more incline up to 12 percent. If you want to simulate a climbing terrain, you can set the automatic inline to significantly prepare your body. Overall, the Nautilus could be the best bud on your road to fitness. Here comes another treadmill model that can keep up with your pace no matter how hard the activity is. The thing that makes Horizon Fitness T101-04 appealing to users is the fact it’s easy to assemble. You can also fit this one to any room because you don’t have to worry about loud noises; the unit is quiet enough to fit any area in your household without disturbing other occupants. You can walk comfortably with this one; the cushioning system is designed to soften the impact on your joints, giving you longer endurance to do your exercise. The same variable response cushioning is made firmer on the back where your foot pushes off. Consequently, it is made more flexible up front – the particular area where your foot lands. If you’re up to the challenge, there are 30 programming options to choose from. All of which are designed to help you reach your fitness goals. The treadmill even has a Coolfit personal fan to give you a cooling wind sensation during your sessions. 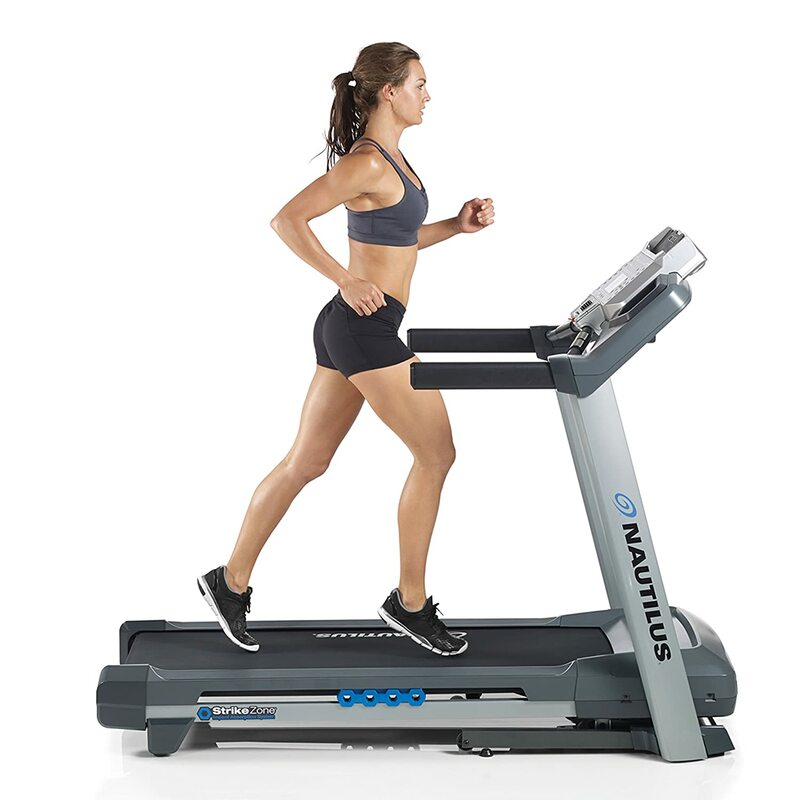 Presenting the bestselling treadmill of the brand, the LifeSpan TR1200i folding treadmill makes an ideal running machine you can use right at the comforts of your home. 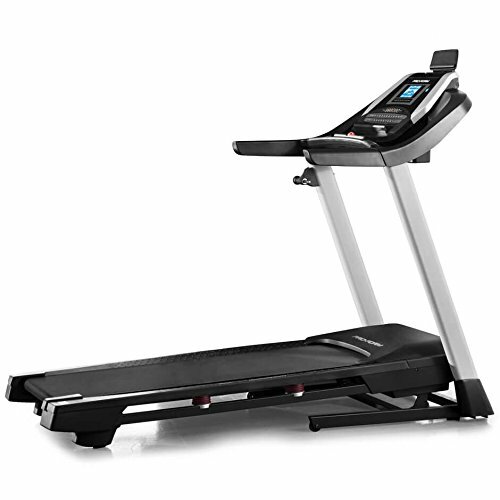 This one comes at a compact size but it has more room than other treadmills on the list – a 20” x 56” running path. Now you can have more space to run and won’t feel like you’re jogging on a confined space. This LifeSpan also comes with all essentials including a console and 21 trainer programs. The former tracks your calories, time, speed, distance, and more; while the latter gives you multiple options like healthy living, weight loss, cardio, sports training, and more. It even has a Bluetooth connectivity for added perks. You’ll also get impressed with the 15 levels of adjustable incline; to effectively mimic a sloping environment. Now you can train your body and prepare for your next hike. Ultimately, the 2.5HP motor would be strong enough to be at par with your exercise routines. The NordicTrack C 700 is like the little brother of the C 990 but it doesn’t fall short on features. Matter of fact, it has everything to be competitive and become a champion in the treadmill industry. For starters, this one comes with all features you can see on the C 990; and for a lower price. Impressive things like multi-window LED display, integrated tablet holder, iFit coach ready, 20 pre-loaded programs, auto breeze fan, auxiliary music port, and so much more. 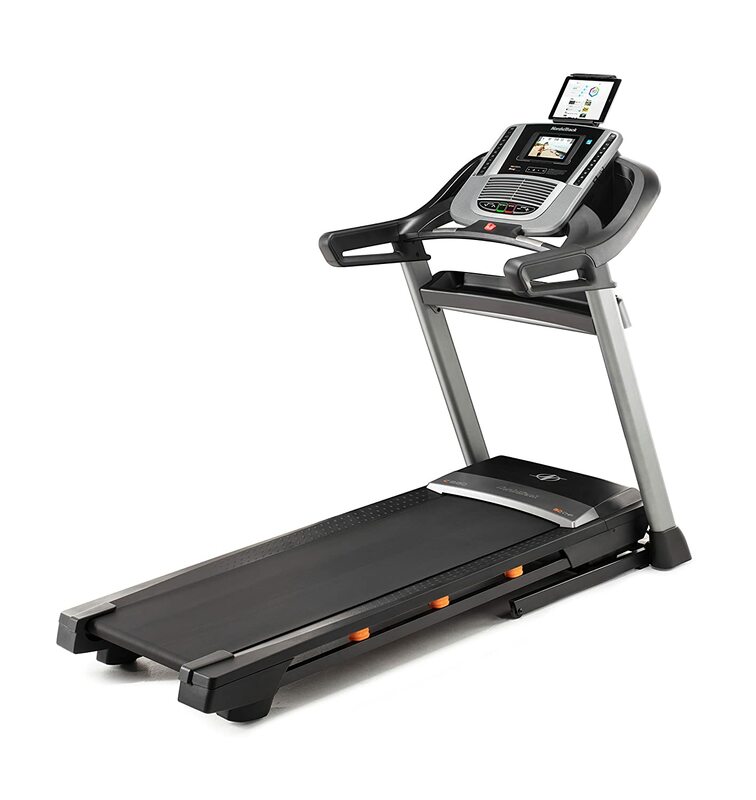 With the NordicTrack C 700, you won’t run out of options. 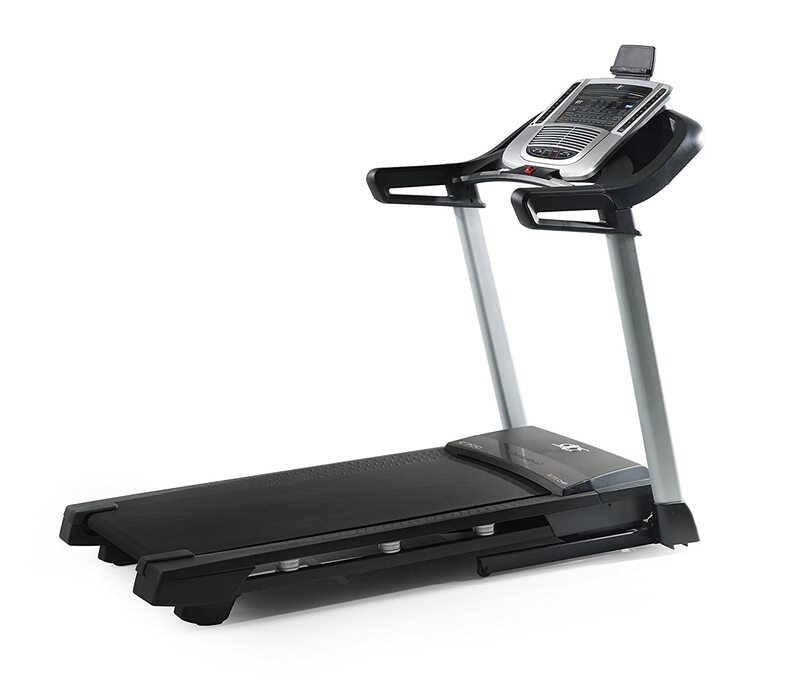 You will also love how this C 700 is designed with a wider running belt than the C 990 – 22 inches. However, the C 990 has a longer belt at 60 inches. If you prefer a wider tread belt, go for this C 700; but if you prefer for a longer one, go for the C 990. 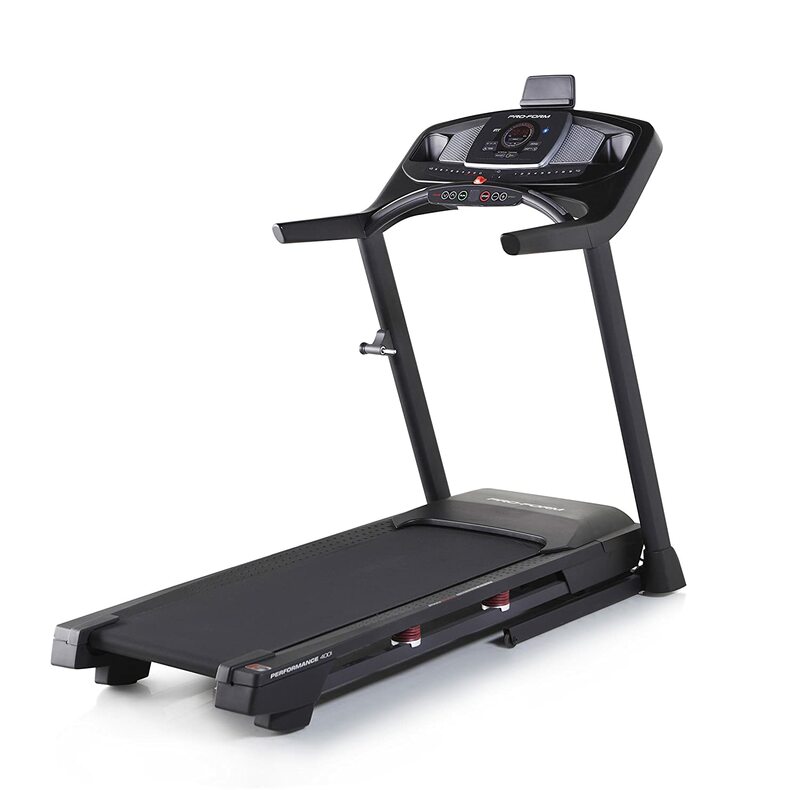 The AFG Sport 5.7AT Electric Folding Treadmill is another great treadmill for its price. Its uniqueness comes from its application. While other treadmills rely on iFit, this treadmill has its own AFG application. The specs of the treadmill are definitely not bad either. It has a relatively strong 2.75 continuous-duty horsepower motor that was built for continuous use. The running deck has a lengthy 60 inches, enough for most running activities. The speed of the treadmill is easy to control and go up to 12MPH. There are also other options you can control on the treadmill. 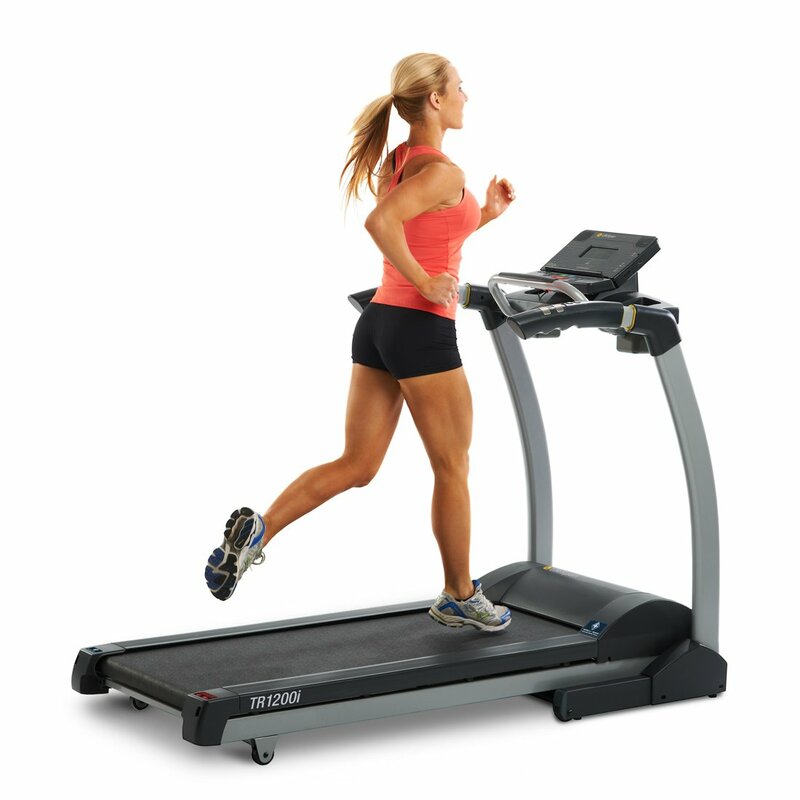 As an example, the incline of this treadmill can go up to 12% depending on your preferences. When burning calories, these incline options will be quite helpful. Lastly, the AFG Sport 5.7AT Electric Folding Treadmill was certainly built to be durable. With high-quality materials, it can hold up to 325lbs of a person’s weight. Even the motor would last for a long time. 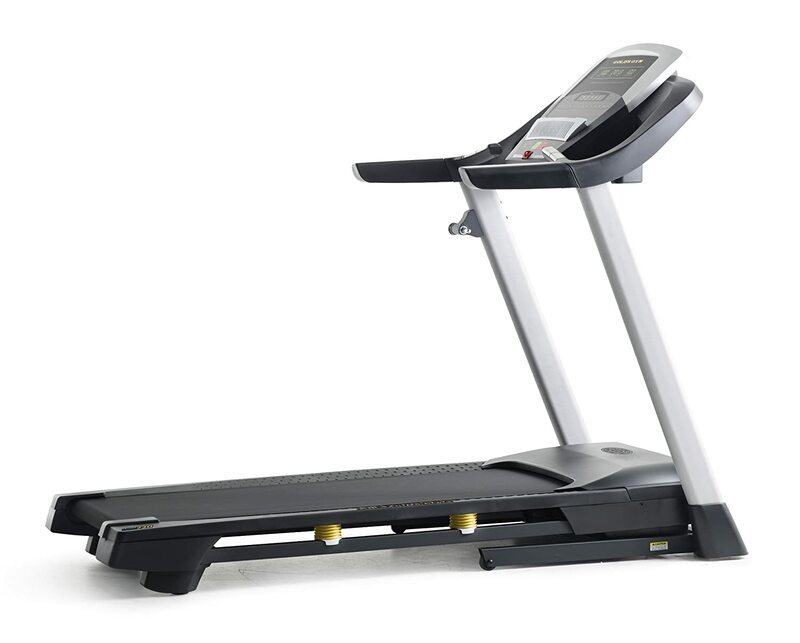 If you’re looking for a treadmill that can cater those with heavier weight, the Gold’s Gym Trainer 720 might be the ideal choice. The unit can accommodate a person as heavy as 300lbs. It’s powered by G-Force 2 commercial motor and comes with standard features; including a multi-window LED display, 18 workout apps, and AirStride cushioning. Like the previous brand, the unit comes with Cool air workout fan to give you an ample supply of air while in action. Got an iPod? You can seamlessly connect your music device right into the unit to give you a musical vibe. With all the standard features and heavy-duty motor, it’s easy to love the Gold’s Gym Trainer 720. 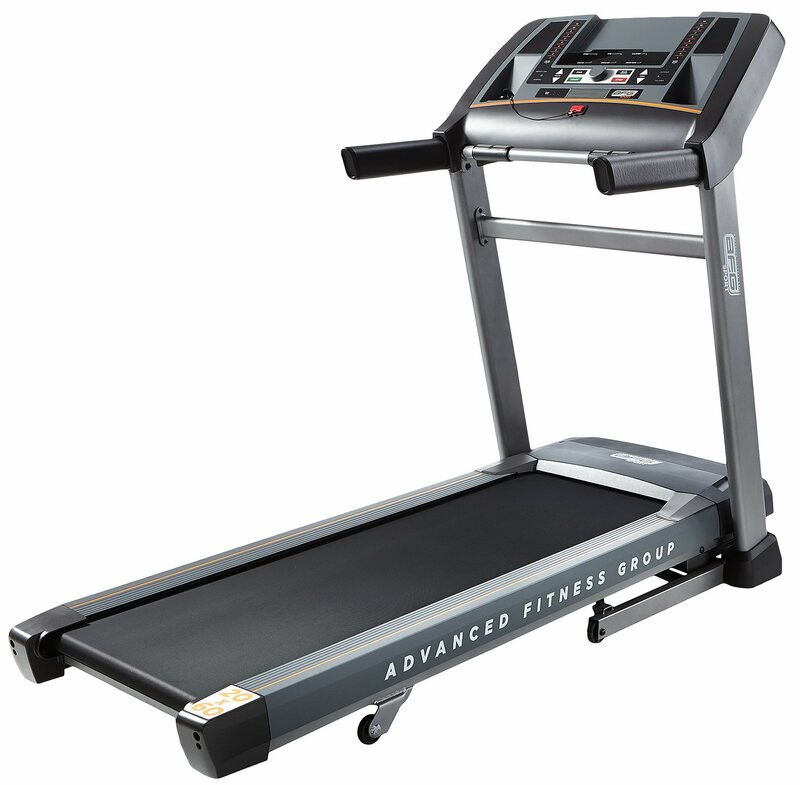 Another entry from ProForm, the PFTL59515 Performance 400i Treadmill packs a 2.5 continuous Horsepower motor with a 20” x 55” tread belt. Standard features include the space saver design, ProShox cushioning, and 18 workout apps. If you feel like to sprint like a pro on the field, this ProForm can keep up with your pace with its 10-mile-per-hour speed capacity. It has a bigger motor size than most competitors in the market. This means the unit has a faster flywheel gear ratio, ensuring a real 10 mph top speed. You won’t even have to worry much about electricity. The unit is designed with in-home efficiency booster. How does it help? This treadmill can only consume minimal electricity even if you run every day. The best treadmill under 1000 is just one click away. Now it all boils down to finally selecting one from the list and start your road to fitness!